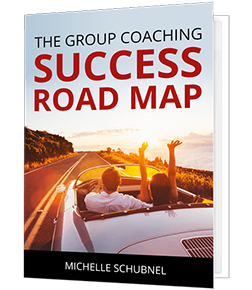 Your Group Coaching Success Road Map - Coach & Grow R.I.C.H. I just released another free group coaching download and training video that I think you’ll find super useful! Download the Group Coaching Success Road Map here. …In this short video training I walk you thru the 4 KEY STEPS you need to take to maximize your impact and income in less time by coaching groups. The 7 key areas you need to address to effectively manage and administer your group. Watch the video and download the Group Coaching Success Road Map here. The work you do is important. Let’s get you sharing your awesomeness with A LOT more people by working with groups. If you missed any of my other free training videos and downloadable resources on how to be a successful group coach you can access all of my free group coaching videos and downloads here.